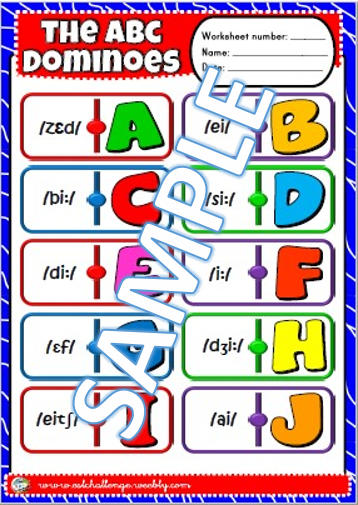 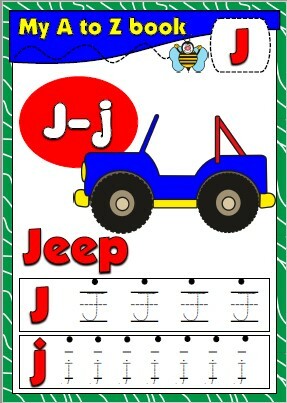 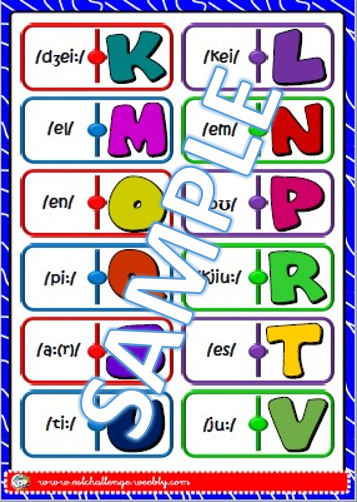 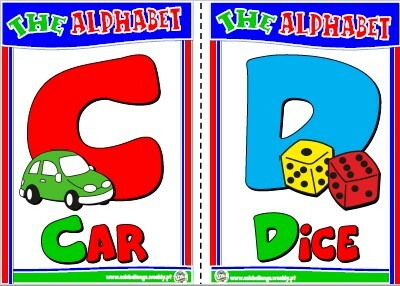 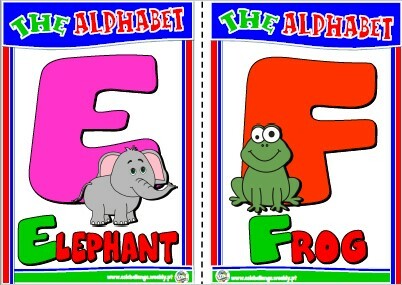 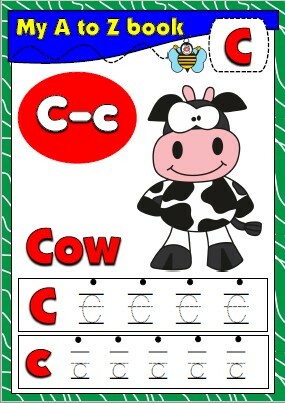 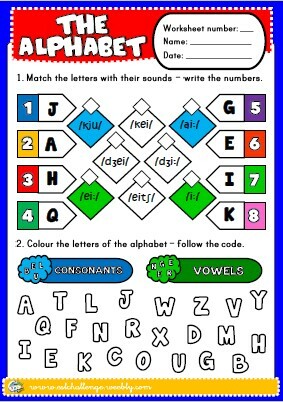 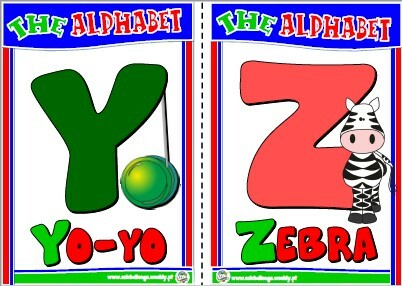 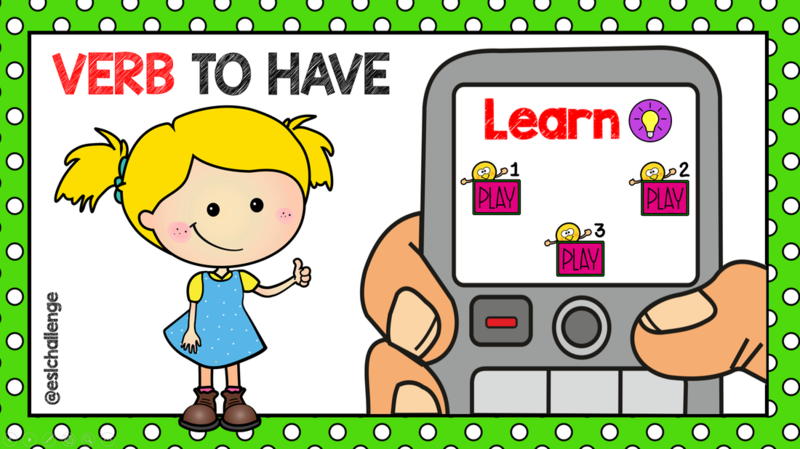 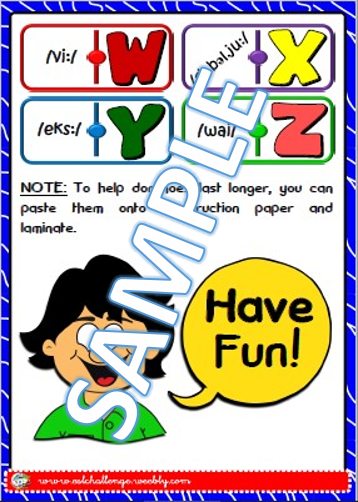 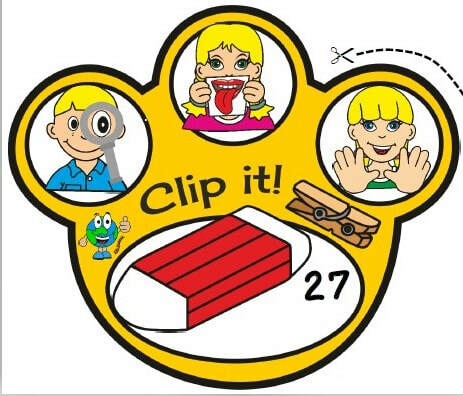 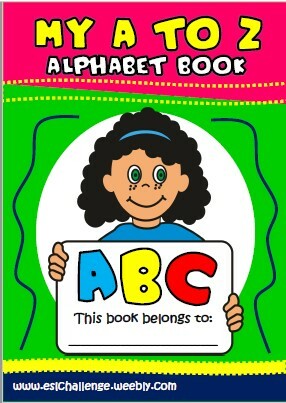 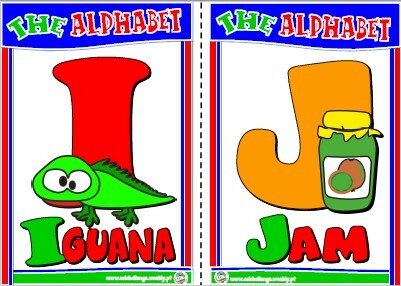 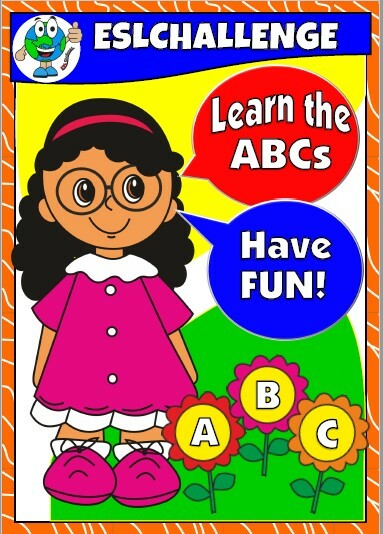 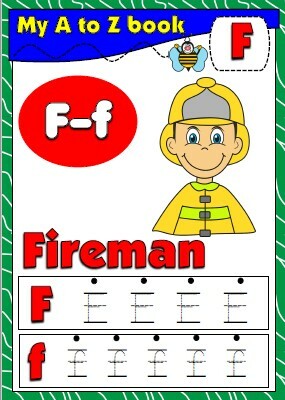 ​Learning the alphabet can be fun, and teaching the alphabet has never been easier. 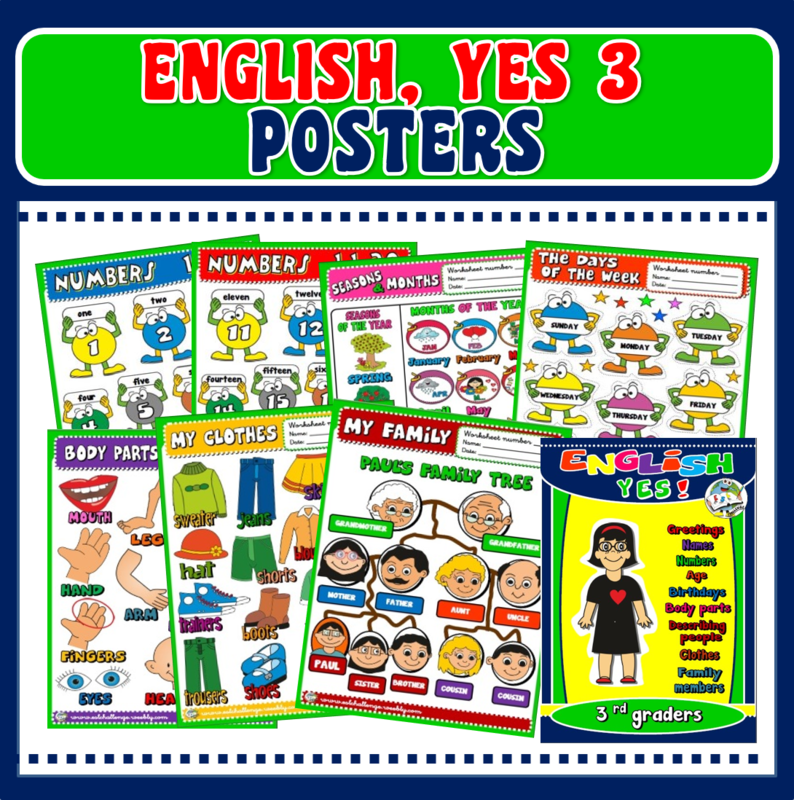 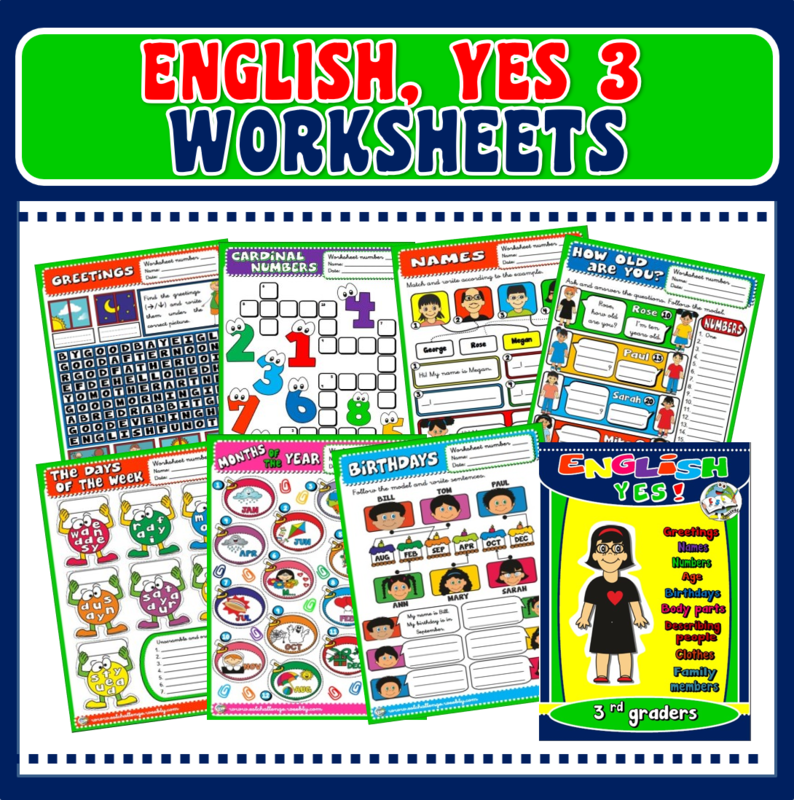 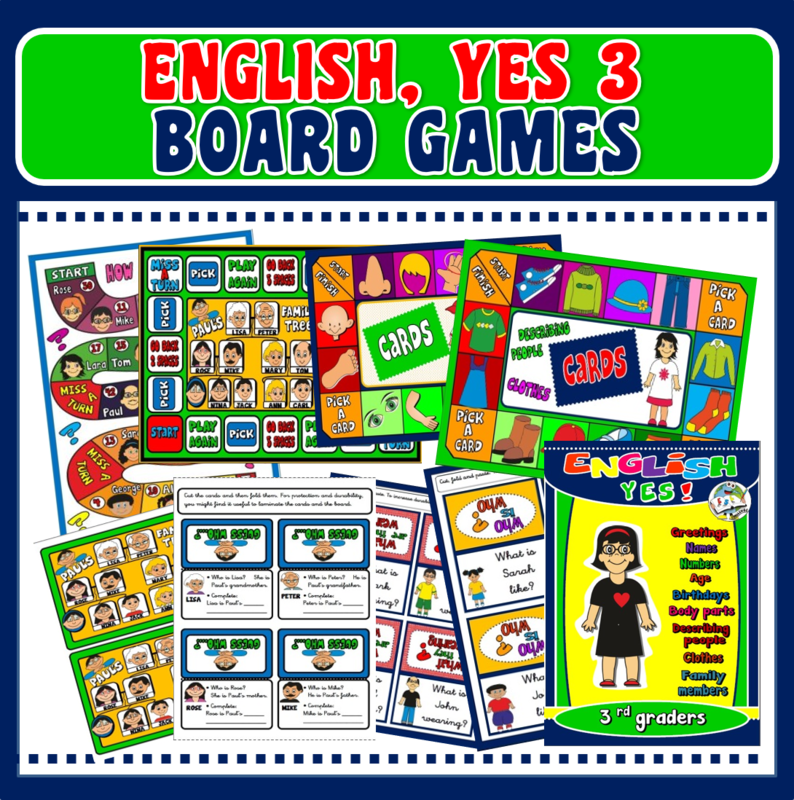 And these activities aren’t just for those learning English as a first language; ESL (English as a Second Language) learners can benefit, too! 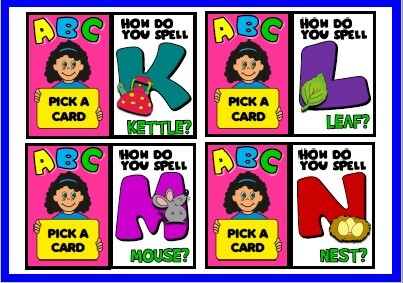 When students have mastered the alphabet, they can move on to spelling games and even work on learning better vocabulary and writing skills. 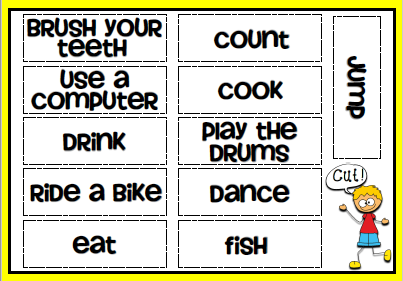 Learning language arts can be so much easier when students have interesting, fun ways of learning. 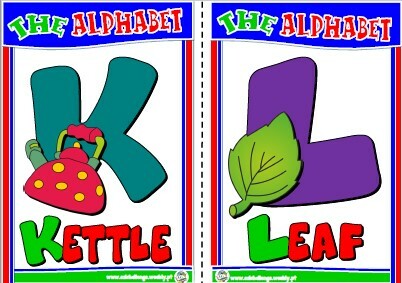 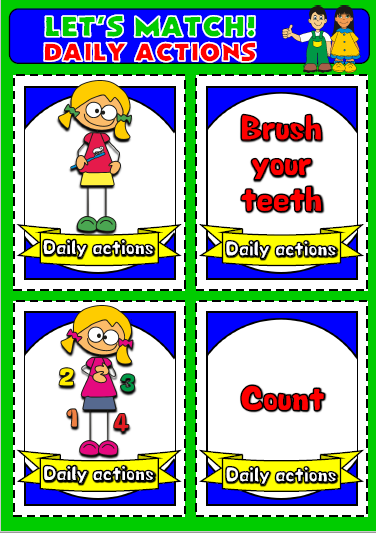 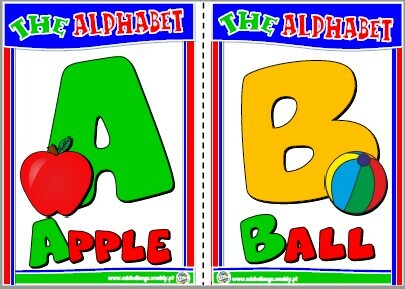 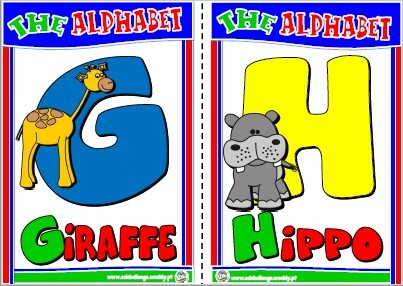 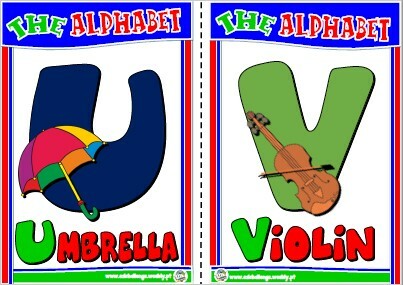 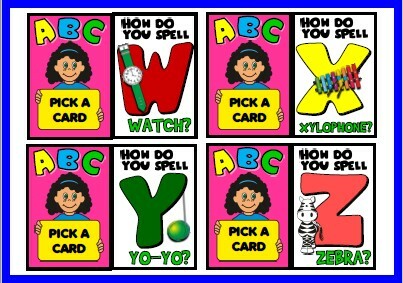 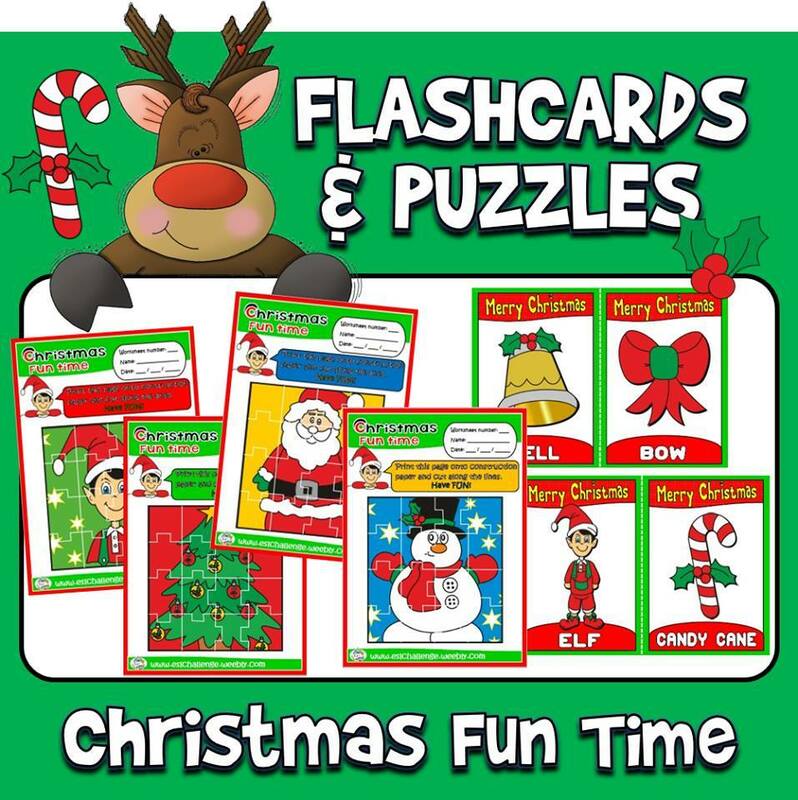 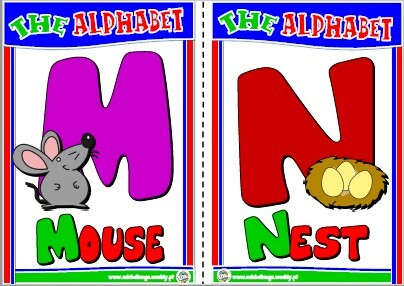 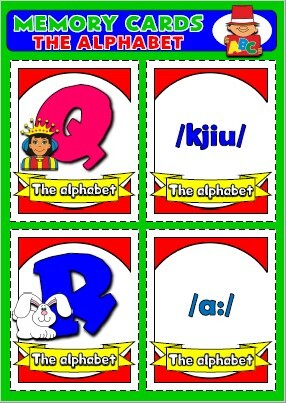 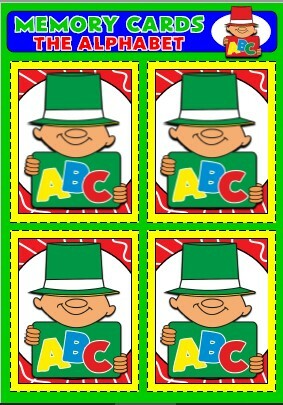 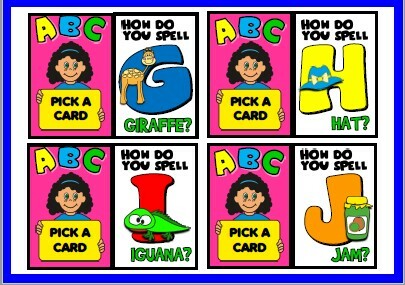 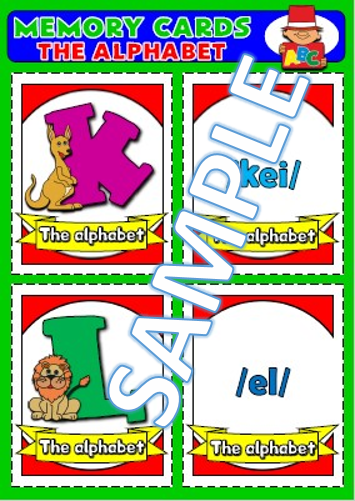 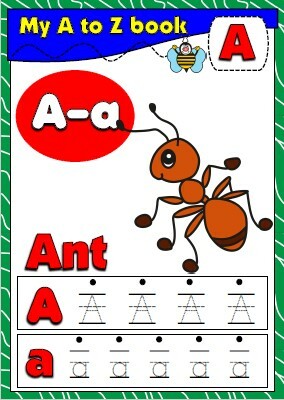 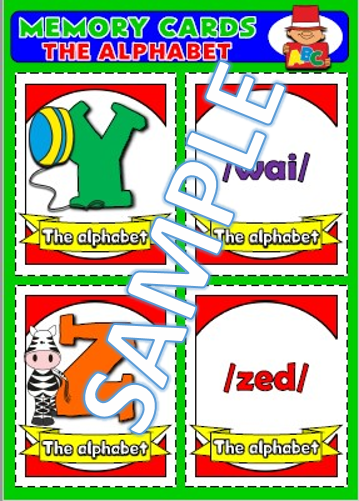 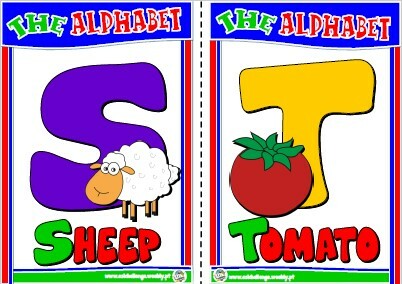 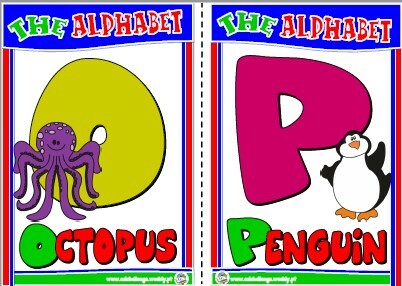 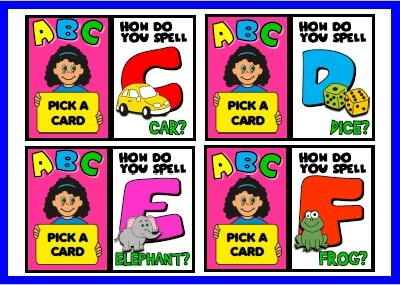 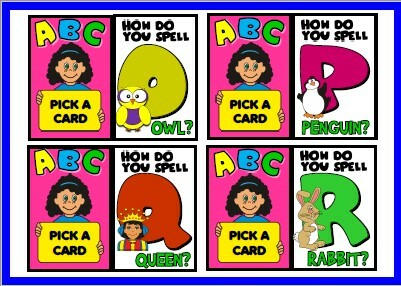 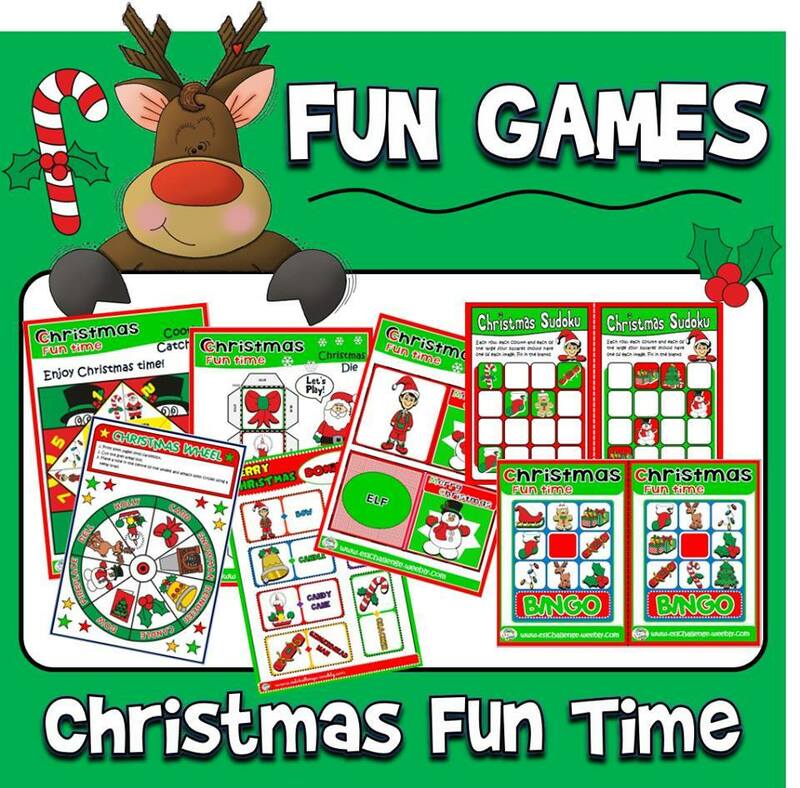 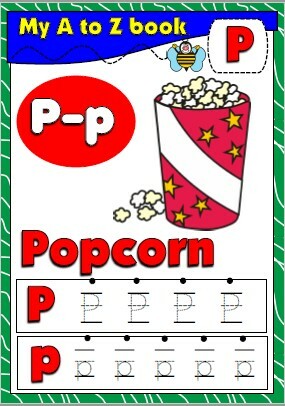 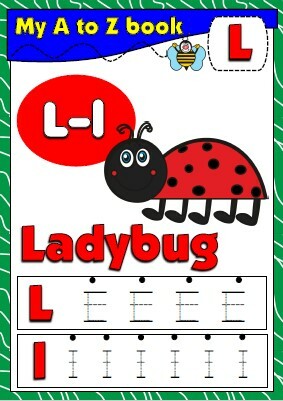 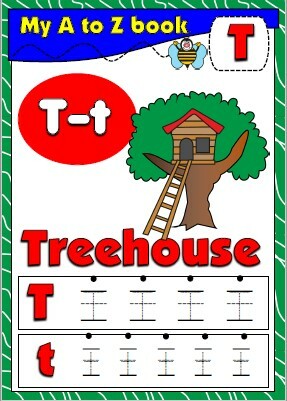 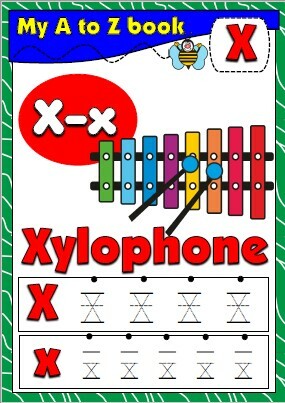 Have fun learning the alphabet with these activities! 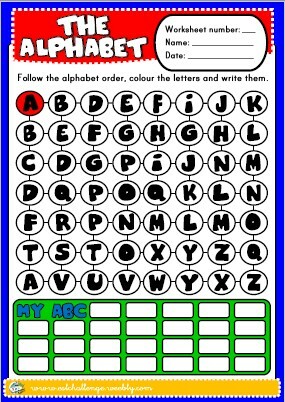 Read, trace and learn the alphabet. 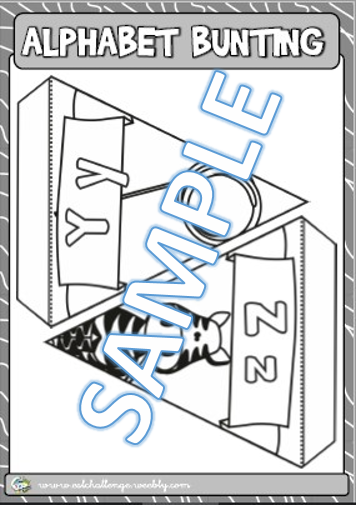 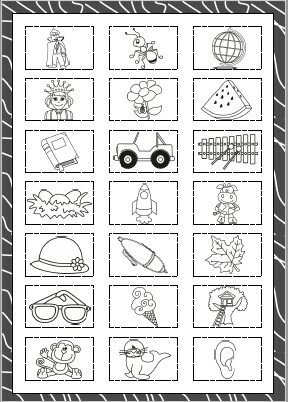 Includes colour and black and white versions. 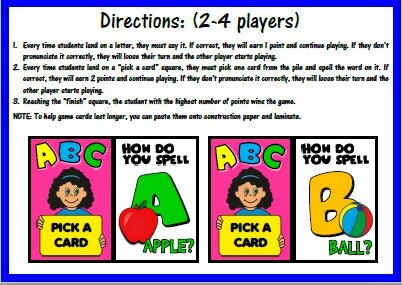 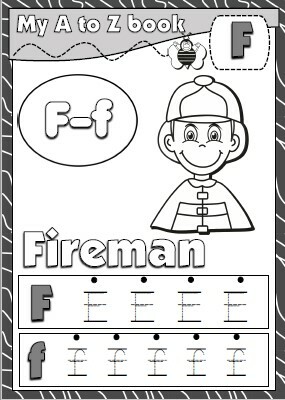 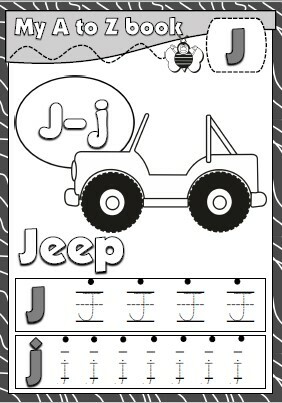 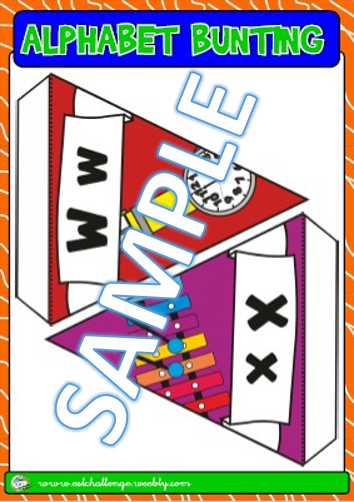 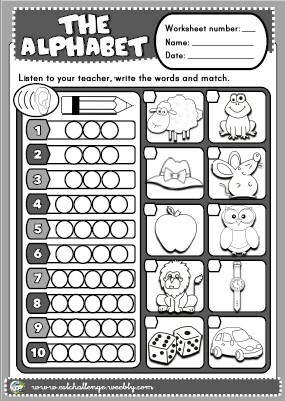 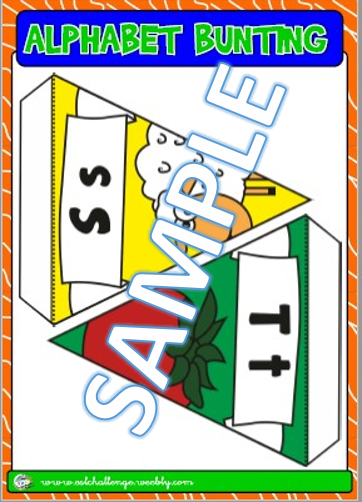 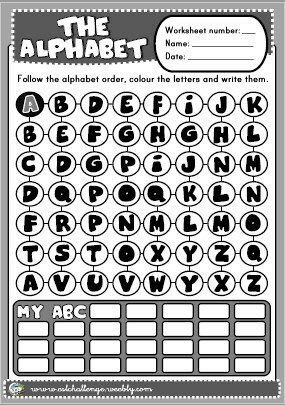 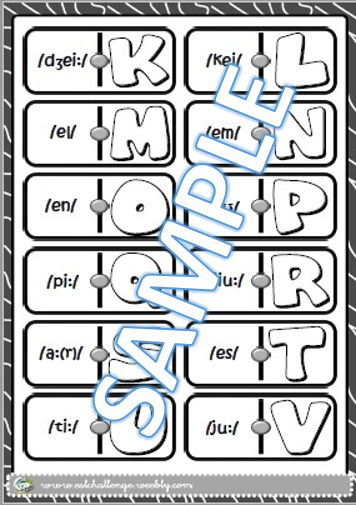 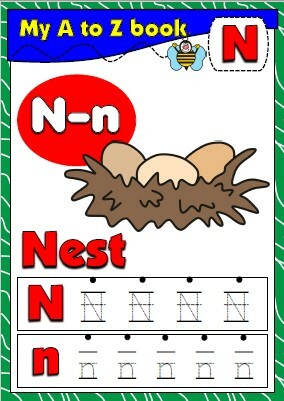 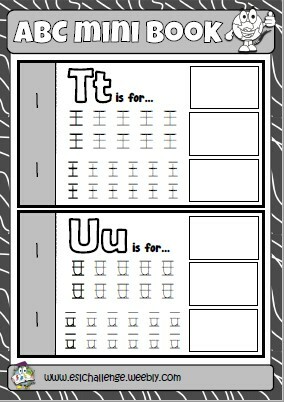 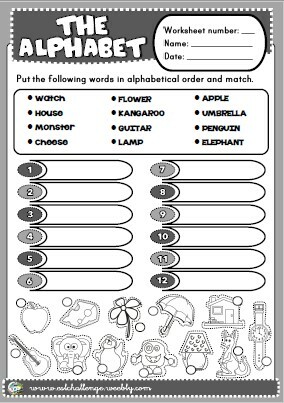 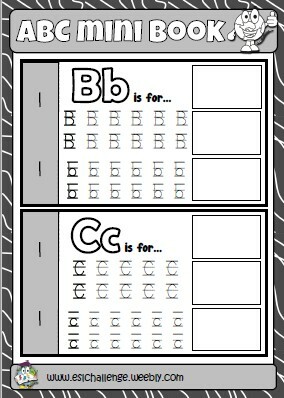 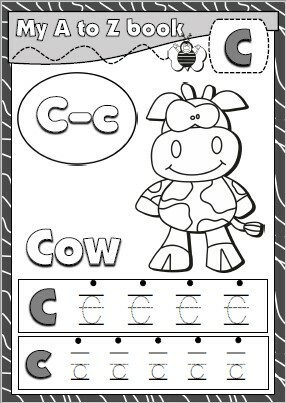 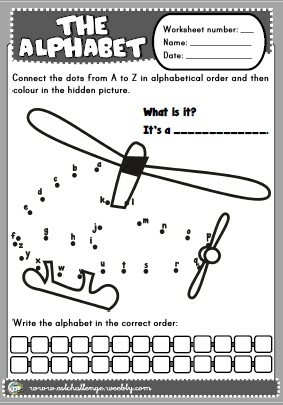 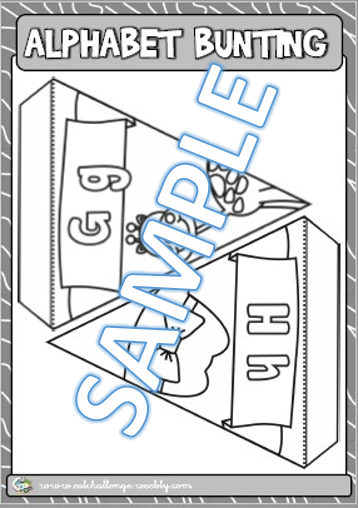 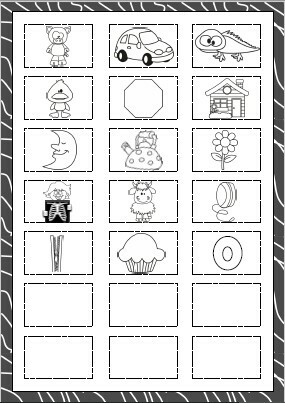 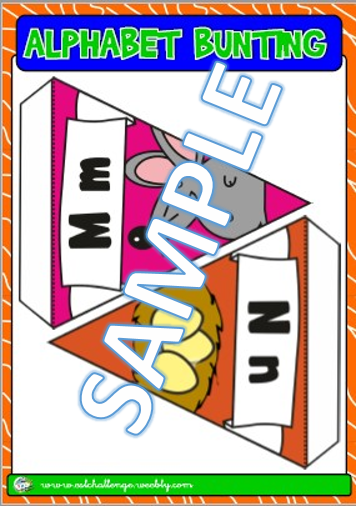 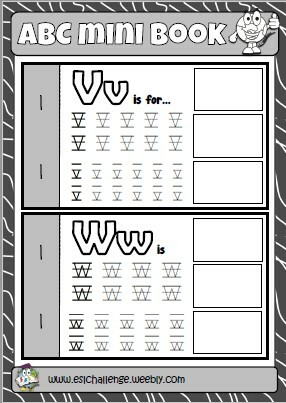 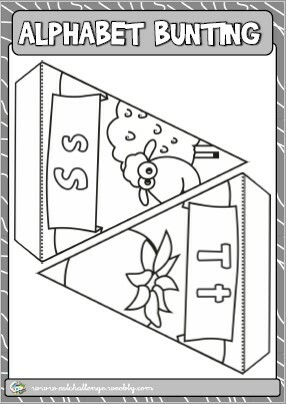 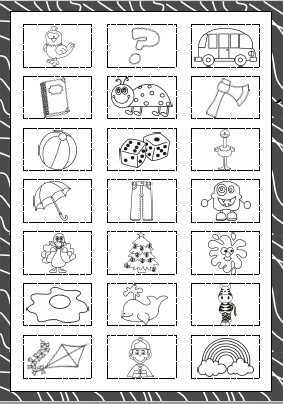 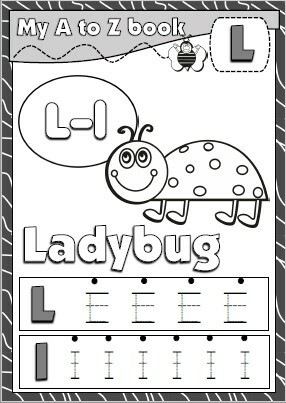 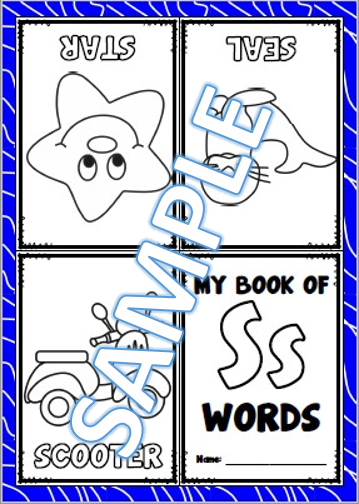 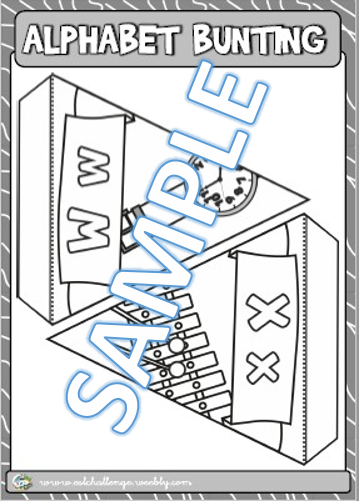 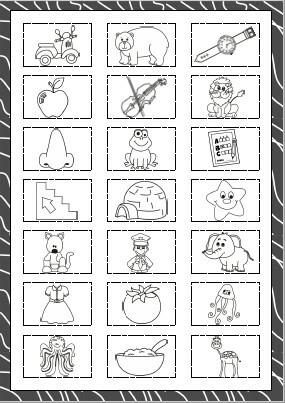 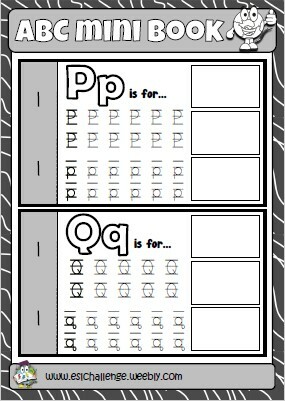 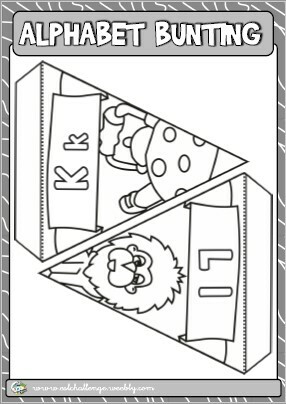 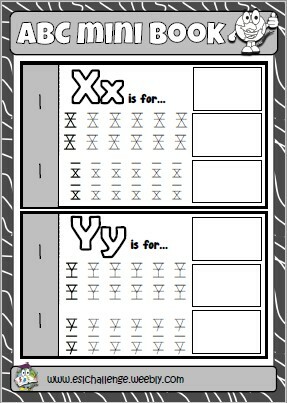 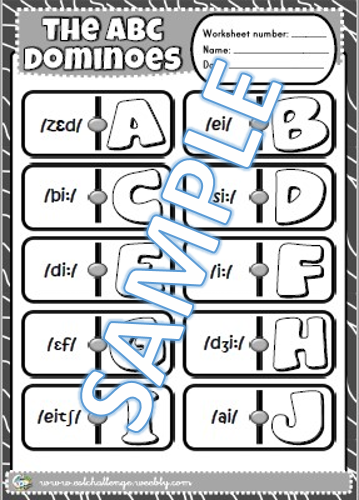 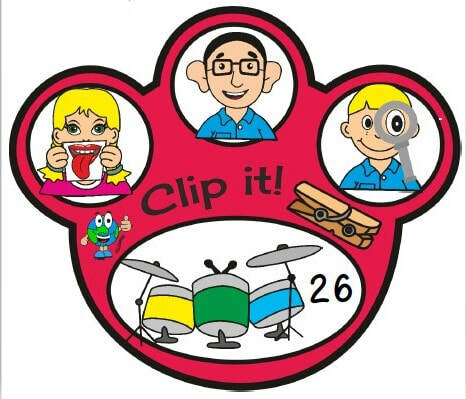 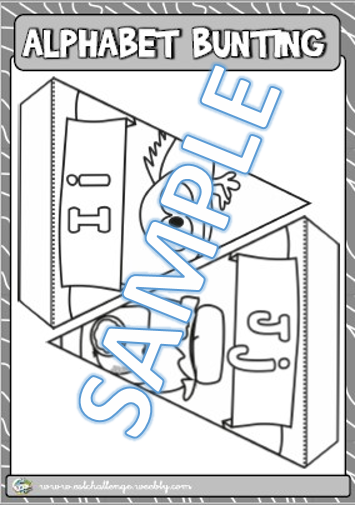 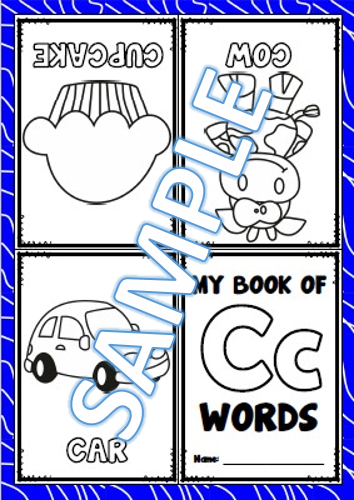 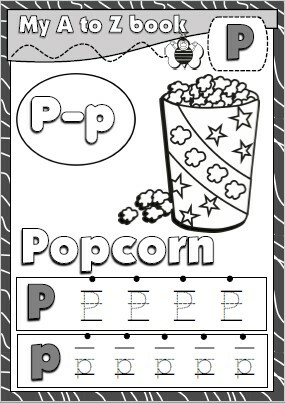 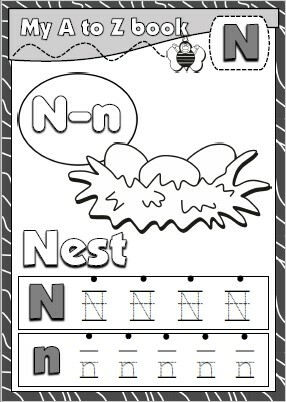 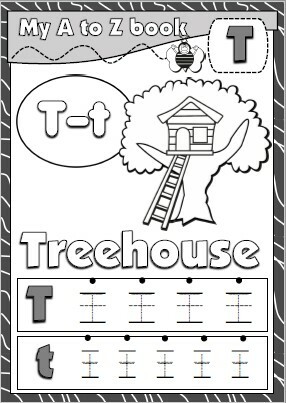 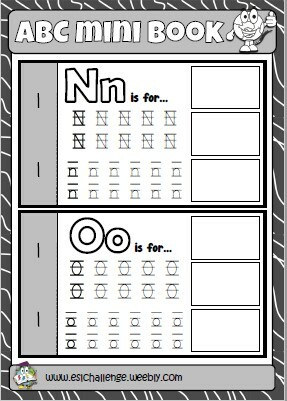 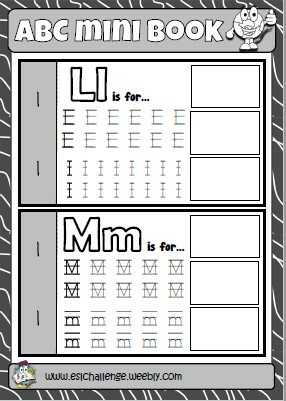 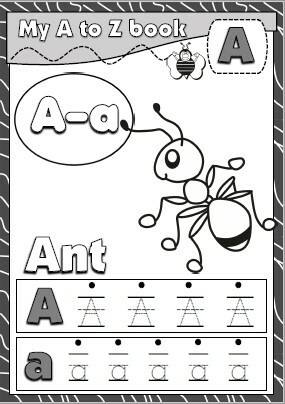 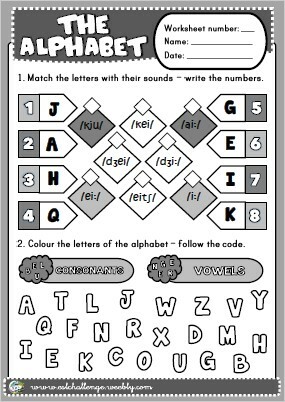 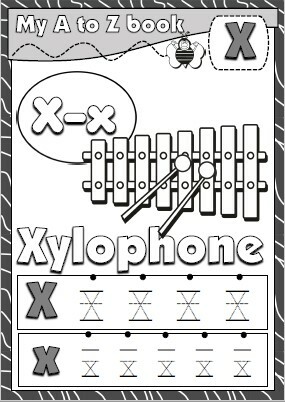 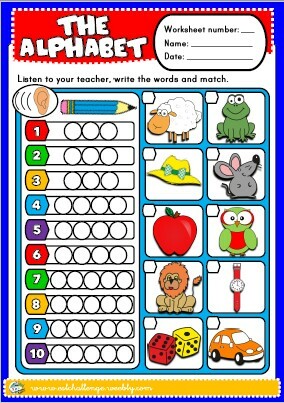 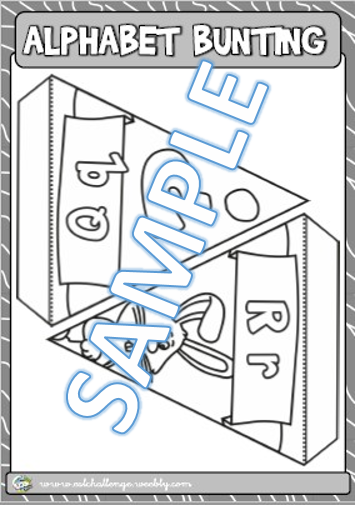 Students can colour the black and white worksheets. 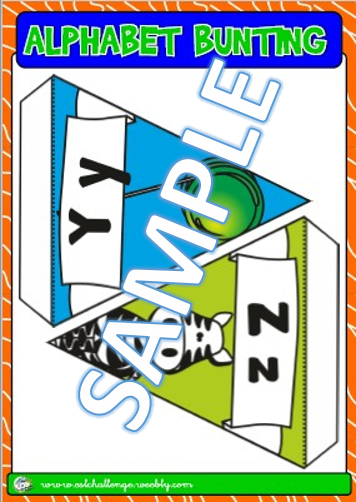 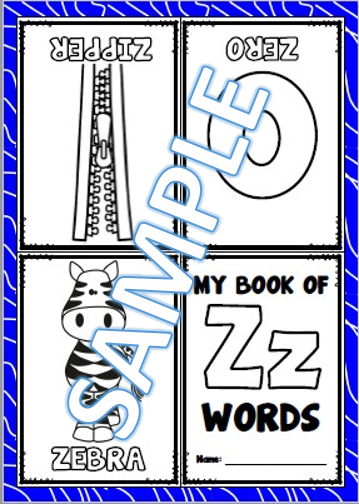 Classroom Decor: A to Z Alphabet Pennant Banner - each full size pennant includes an uppercase and lowercase letter and a cute image that starts with the same beginning letter. 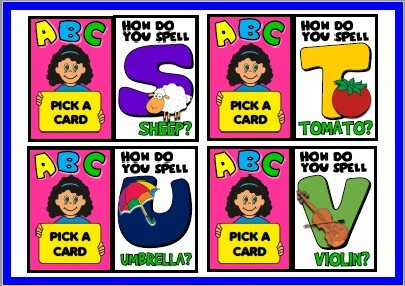 Use this banner on your bulletin board or even an inviting classroom decoration for "back to school". 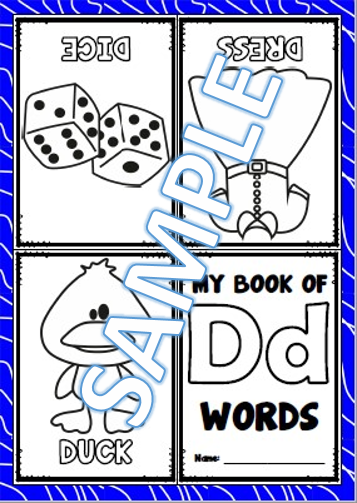 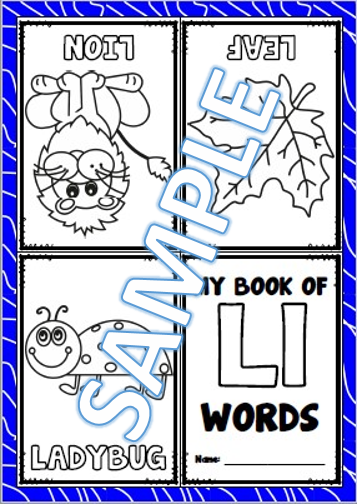 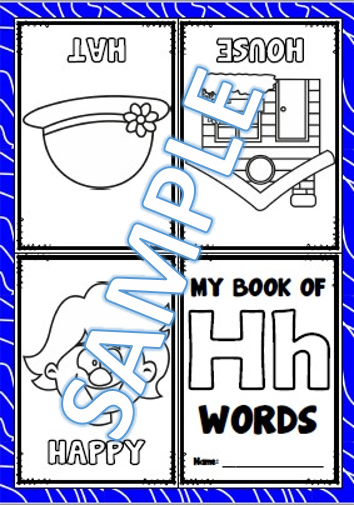 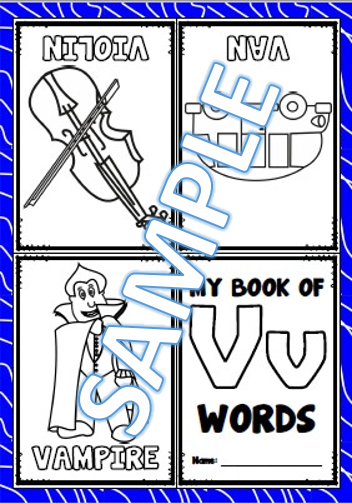 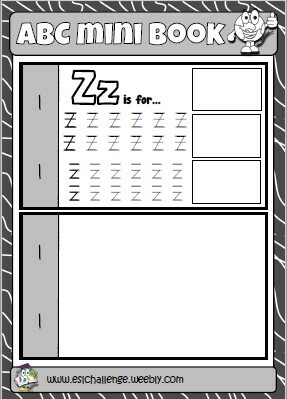 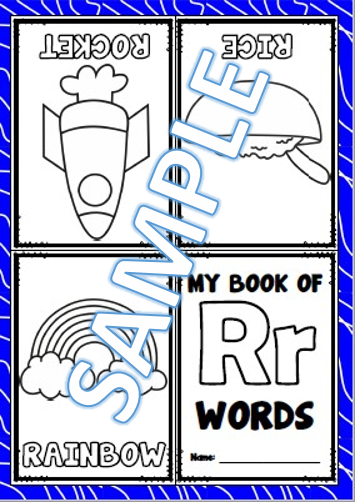 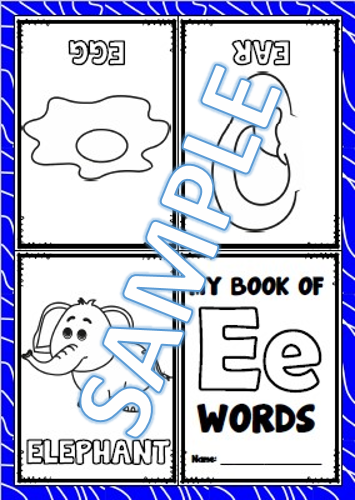 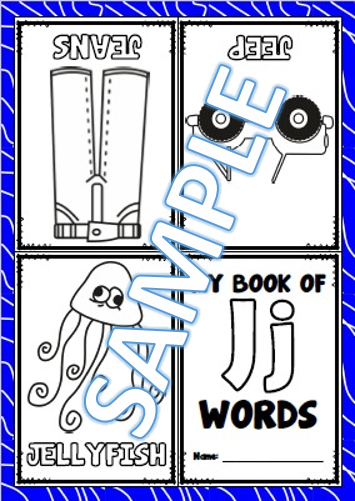 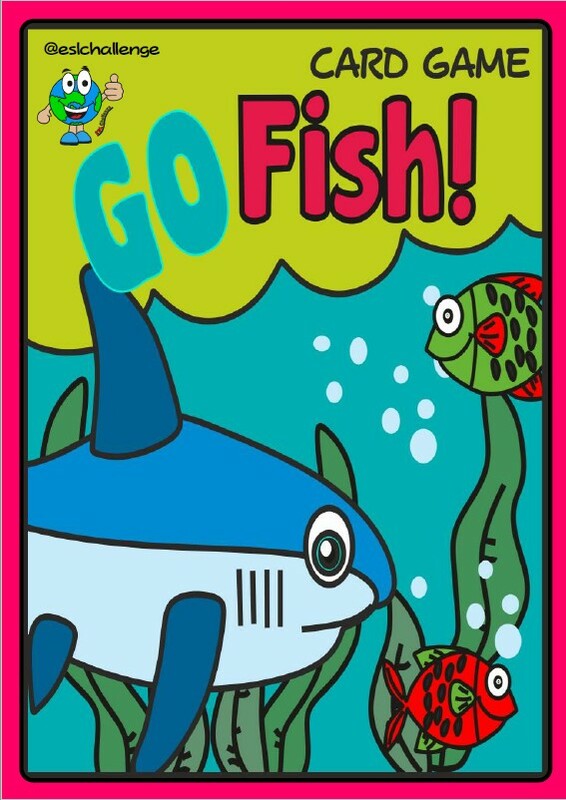 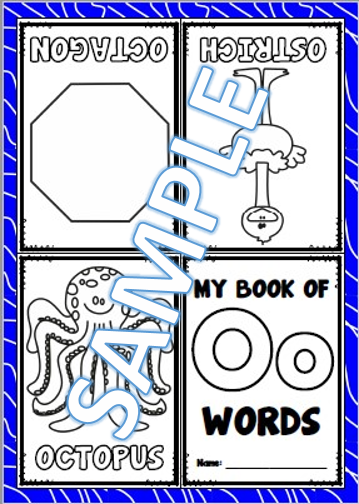 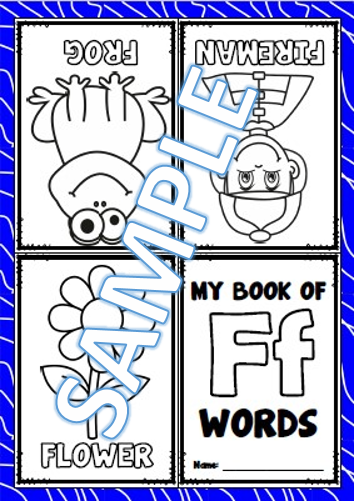 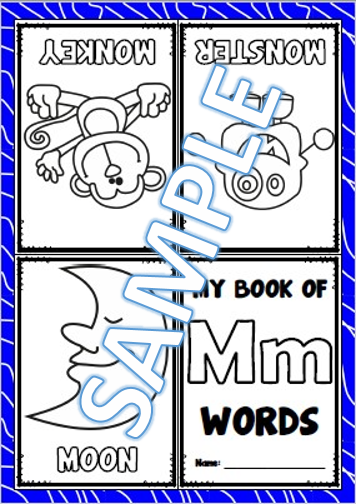 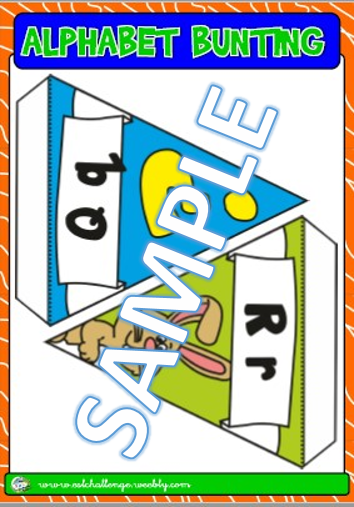 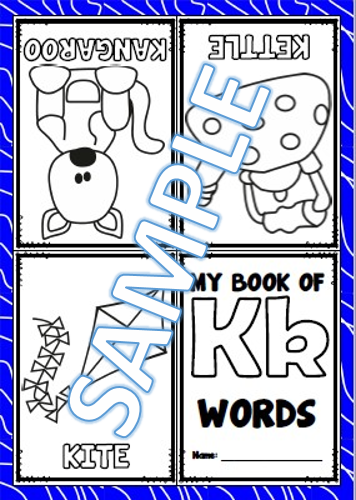 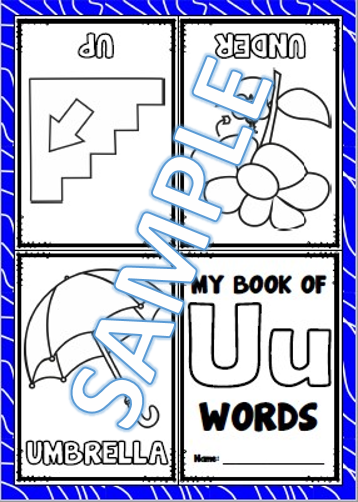 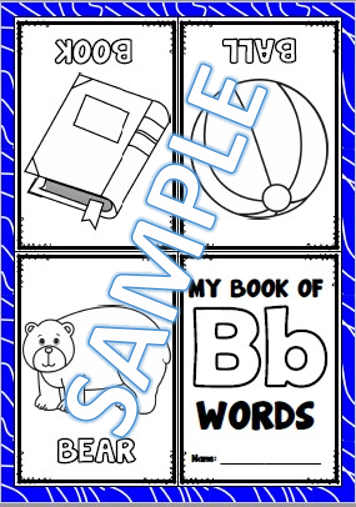 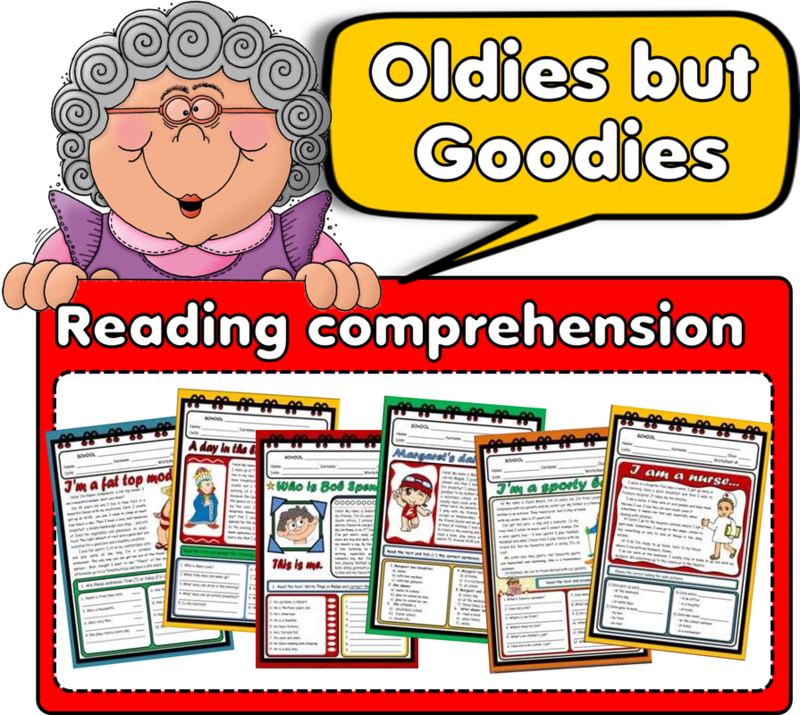 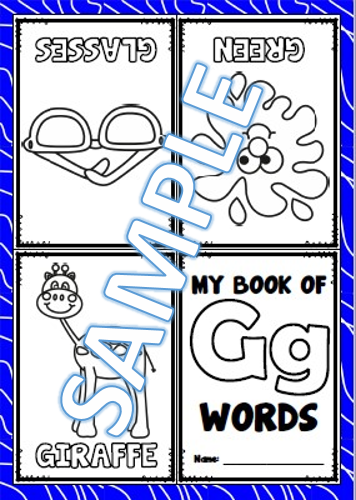 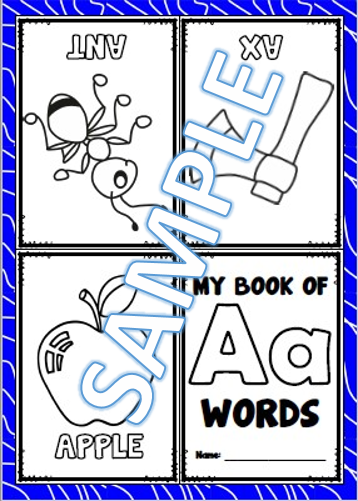 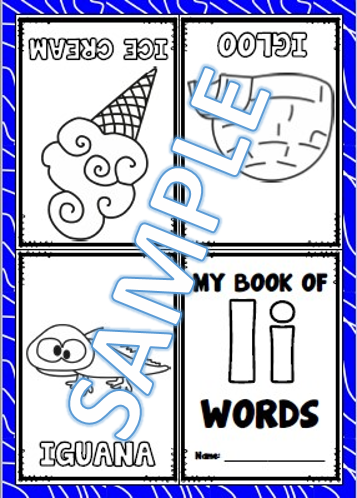 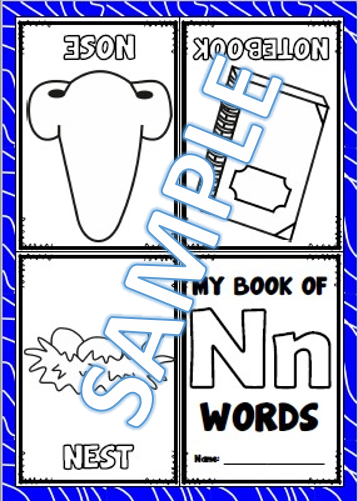 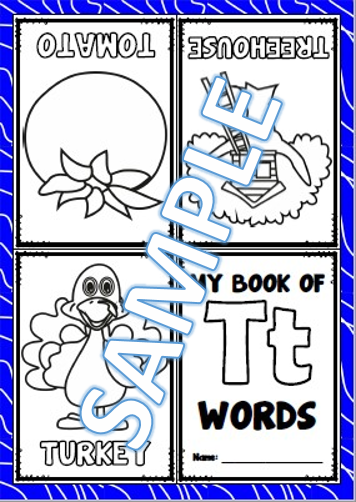 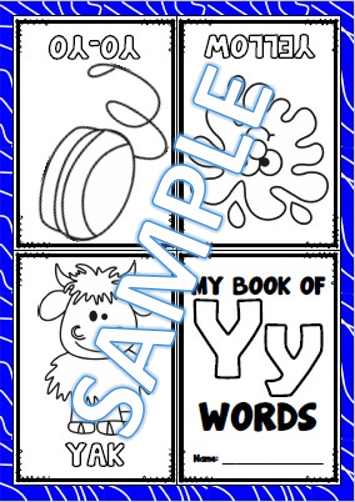 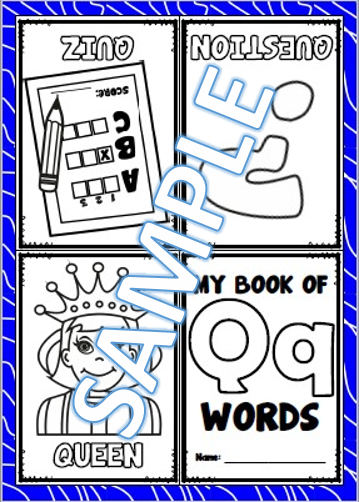 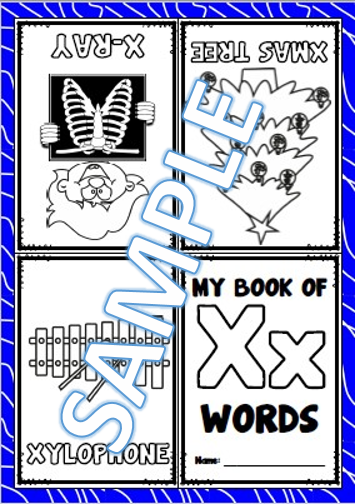 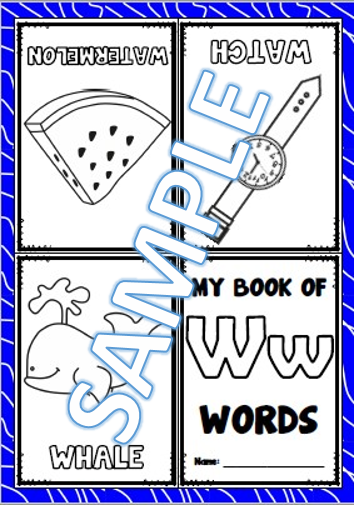 With this book students can build their own picture dictionary with the words they learn in classes. 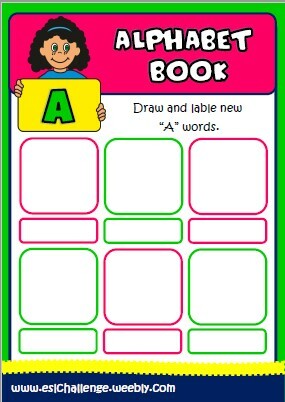 Print the page you wish to use. 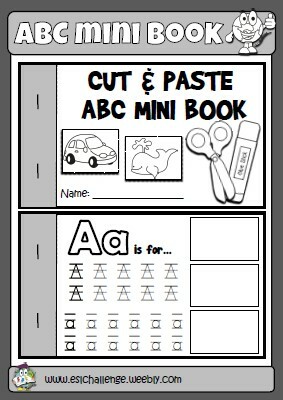 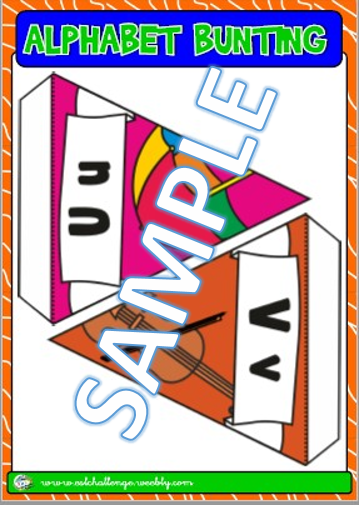 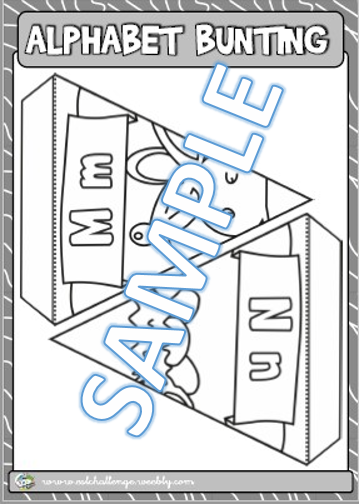 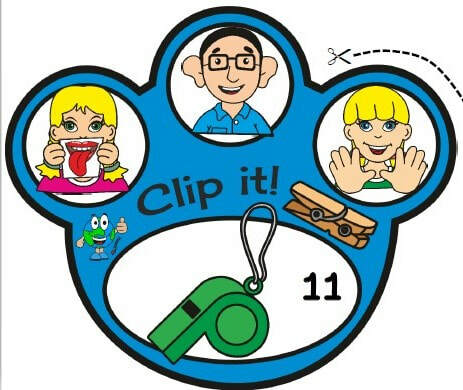 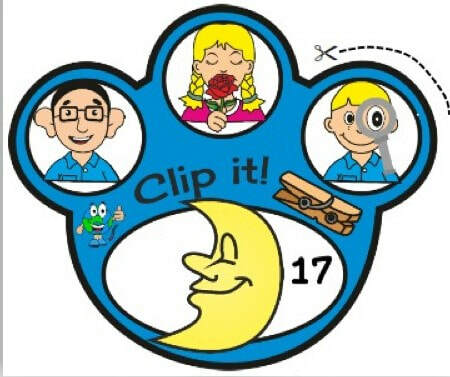 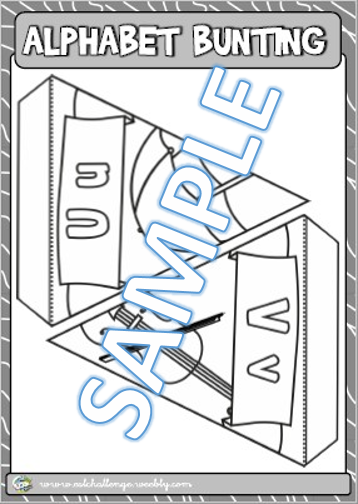 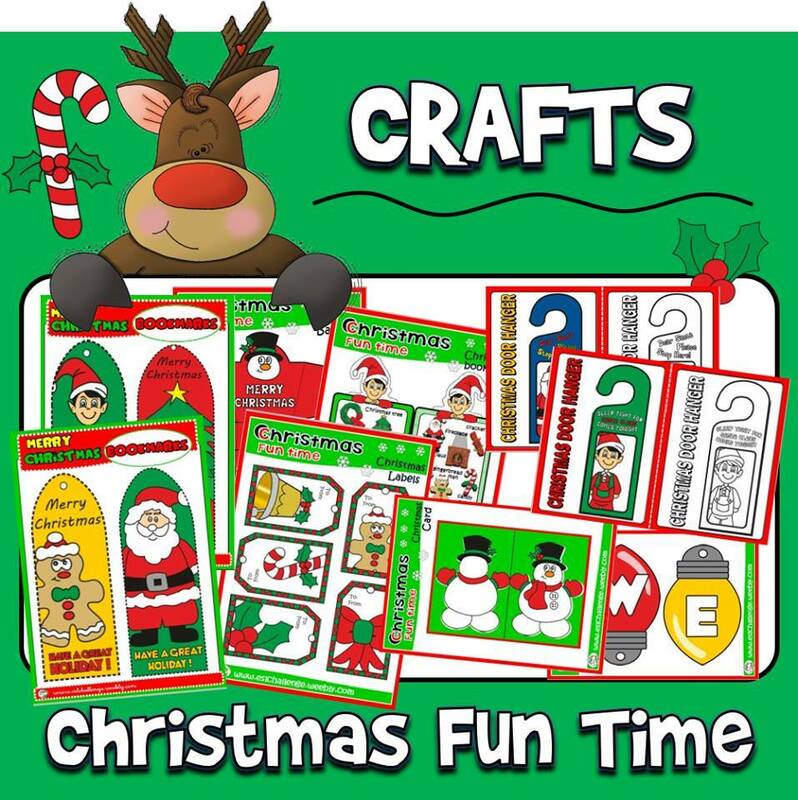 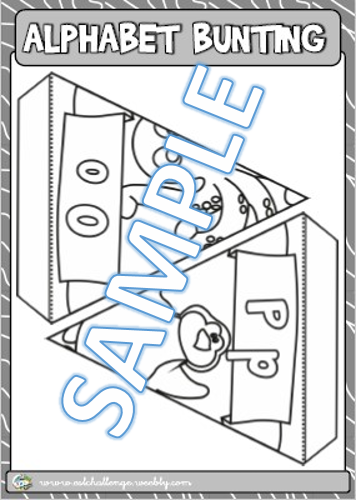 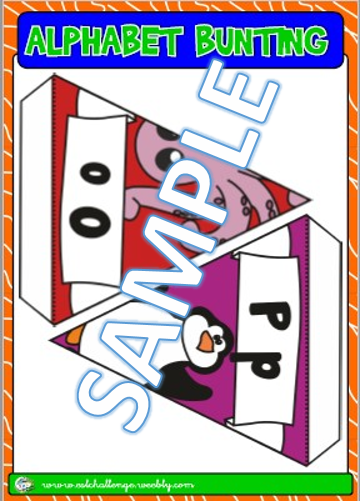 Fold in half horizontally, and then again vertically - not cutting or stapling required!